Many of the classrooms on the UGA Costa Rica campus are named after animals found here: Toucan, Motmot, Chachalaca, and Perezoso (sloth). 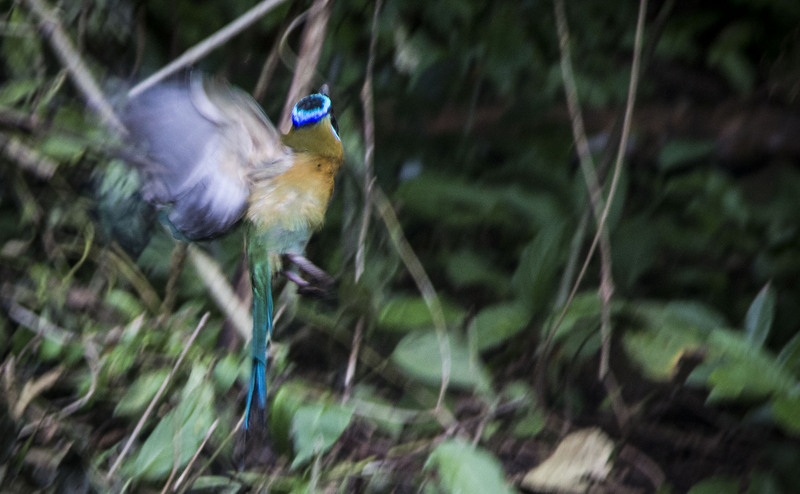 During Spanish class this week in the Motmot classroom, students spotted a Motmot digging a burrow just outside the classroom. Instead of building nests or making their home in trees, Motmots burrow in the ground. From a window in the back of the classroom, we had a great view of this Motmot and the other member of the pair sitting back among the trees. He flew away soon after, but not before we had a chance to watch a little bit of digging.